Creating a histogram in R is a piece of cake. But often times, you'll want to take a look at the gaussian distribution that your data may represent. It's easy enough to look at the frequency histogram separately from the gaussian, but what if we want to overlay the gaussian on top of the histogram? This is a little tricky, because the gaussian gives density, not frequency. With some scaling, we get the desired effect. 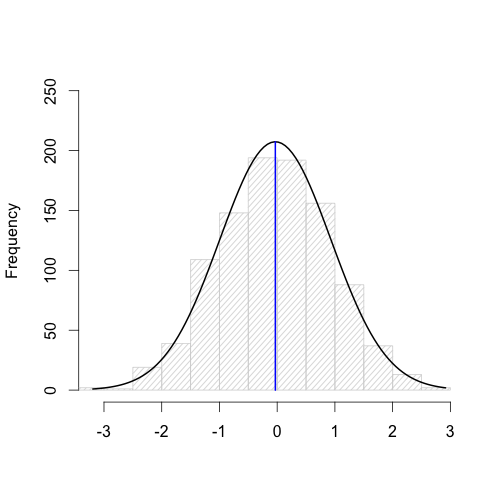 I've also added a blue line to indicate the mean of the distribution.